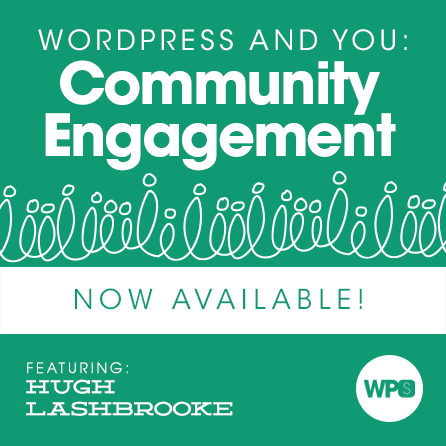 In this session, Hugh Lashbrooke walks us through all the ways in which WordPress is only successful because of the community behind it. Not only that, he lays out many ways that the community can benefit from your involvement while you also benefit directly from the community. How long have you been working with WordPress? Long enough to recognize that there is an army of people behind it? Behind WordPress is a collective that helps drive not only the software itself but also an entire ecosystem of products, services, blogs, and businesses. Breakfast without bacon may fill you up, but is it really worth eating? The WordPress community works in the same way – without the community around it, WordPress just wouldn’t be the same. In this session we’ll chat all about the community – what it is, who it’s comprised of, what your role in it is, and why engaging with it is the only way you can truly benefit from everything it entails. You cannot have WordPress independent of its community. Sure, you can use the software without ever knowing one iota about the WordPress community, but this software wouldn’t exist if not for the community. Please join us to learn about the impact and effects of having such a large and passionate base of users and contributors. Uncover the ways that you, personally, can bring about meaningful contributions – to both the community and the software – as well as how you can directly (and indirectly) benefit from getting involved. If you work with WordPress, if your business depends on a WordPress powered site, if you sell products or services related to WordPress, or even if you’re just trying to figure out what this WordPress thing is all about: this is your session. What defines the WordPress community? Where do you fit in the WordPress community? Hugh is a plugin developer who is thoroughly passionate about WordPress, the community and all that it stands for. He works at WooThemes and is heavily involved in the Cape Town WordPress community. At WooThemes, Hugh takes care of the team’s relationship with the WordPress community – that means he gets to spend a lot of time dreaming up ways to push WordPress forward and keep everyone involved along the way. Hugh is also a plugin developer with over a dozen plugins on the repo, including the most highly rated podcasting plugin available – Seriously Simple Podcasting.